Worried about the safety of your sensitive, personal information thanks to news around compromise of Aadhaar data? 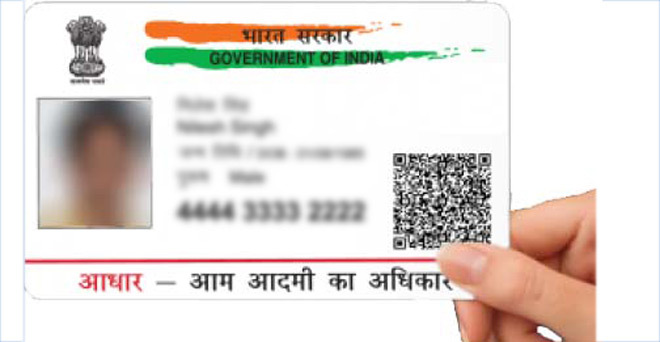 Unique Identification Authority of India (UIDAI) has come up with a solution - termed Virtual ID - in an attempt to eliminate possibilities of such data breach and misuse. Aadhaar users can generate this 16-digit number on the UIDAI website and share the same with various entities that ask for it as part of their know-your-customer (KYC) process. It will act as a stand-in for the actual 12-digit Aadhaar number. UIDAI will start accepting the Virtual ID from March 1, 2018. And, June 1 onwards, all agencies involved in the KYC ecosystem will have to mandatorily accept it. They can create as many Virtual IDs as possible - it is a temporary number that ceases to exist once the user generates a fresh one. The authorised agencies that carry out the KYC process will be able to complete the verification using the Virtual ID and the user's biometrics. Their access will now be limited to details like name, address and photograph. This is part of UIDAI's decision to introduce limited KYC access where the authorised entities will be provided with only need-based or limited details of a user.